One aspect of professional movie making that makes it look different to us is the use of B-Roll footage. Now because it is called B-roll it tends to sound a little like it is some kind of footage that is somehow inferior to the main footage but this could not be further from the truth. B-roll footage are shots that are taken by a second and separate film crew and the shots they take are integrated into to completed movie. If the main footage is responsible for telling thew story then the B-roll is the glue that holds it all together. While it is true that most of us won’t actually being sending someone out to get some B-roll footage it is worth understanding the reasons for it and what it does so we can improve our own projects with our own B-roll. OK there is a good tutorial here on time lapse videos with a reasonable demo video included. When you get to the page just remember to scroll down past the (considerable) advertising boxes on the blog to (finally) get to the tutorial itself. 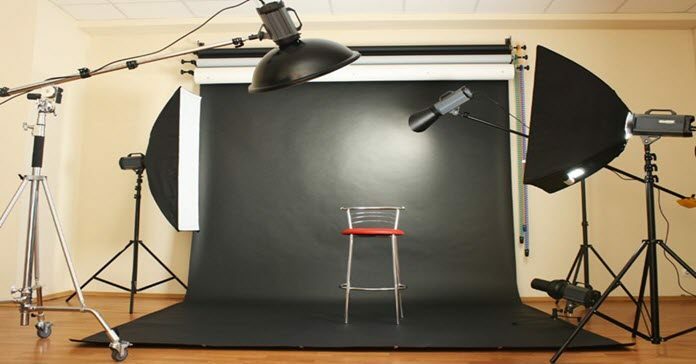 If you happen to create regular videos that require a “studio” type setting you may want to give a little thought to actually setting up a studio for yourself. It doesn’t have to be elaborate and this tutorial gives some great tips. Adding a particularly long piece of text into a scrolling shot like the beginning of Star Wars can be a little laborious in most video editors. However by processing the text outside the editor first then bringing it in you can really save some time. As I mentioned last week, Magix are about to introduce the latest version of their pro editor, Video Pro X6 this week or the next. I will get to doing a new review on it soon but in the meantime here is a short promotional video they have done highlighting the new version and its capabilities. Not that I think most home movie makers are going to be getting this involved in the editing and shooting process nonetheless there are important lessons to be learned for your own projects. Very often because of circumstances, we tend to shoot from our own observational point of view. In other words, we shoot what we are seeing as we are seeing it. This is quite natural because it is the way we view the world however this does not necessarily translate into to watchable footage. When it comes time to editing we tend to end up with all footage being shot from one point of view and that single point of view is our own as it was at the time. In a video project often you are trying to represent what happened at the time rather than to document everything that happened. So when it comes time to piece together a video you are stuck with that one single viewpoint. This goes very much towards the idea of shooting with editing in mind. Take a look at the article linked below and keep in mind that although we as home movie makers are definitely not going to going into the process in such details the ideas are great for “informing” our shots and how we are looking at what we are shooting. The benefit in the end is a wider range of shots to choose from at the editing stage making the entire process far less painful and giving a greater chance of success. With the rise of Instagram it is important (just like YouTube) to understand the parameters you need to comply with when it comes to uploading your videos. Also like YouTube, Instagram will re-encode and non-compliant videos automatically to fit their requirements and this invariably will result in loss of quality. To avoid this it is best if you can get your footage into the correct form and look like a genius. One of the most popular forms of home made videos these days is the “How to” video. In fact if you just take a browse around YouTube you will see that it is swamped with them. I personally love the idea that someone would take the time to make a video of some skill or knowledge they have and share it with others.